We had studied and analyzed the menu and decided that it was a necessity to order two flavors each so we could both try more. 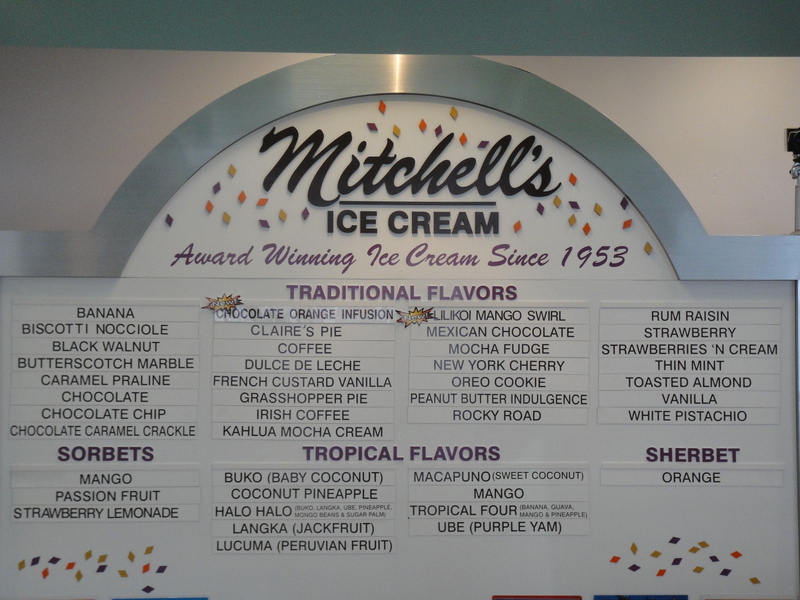 I decided on ube (purple yam) and white pistachio. My choices turned out to be EXCELLENT. 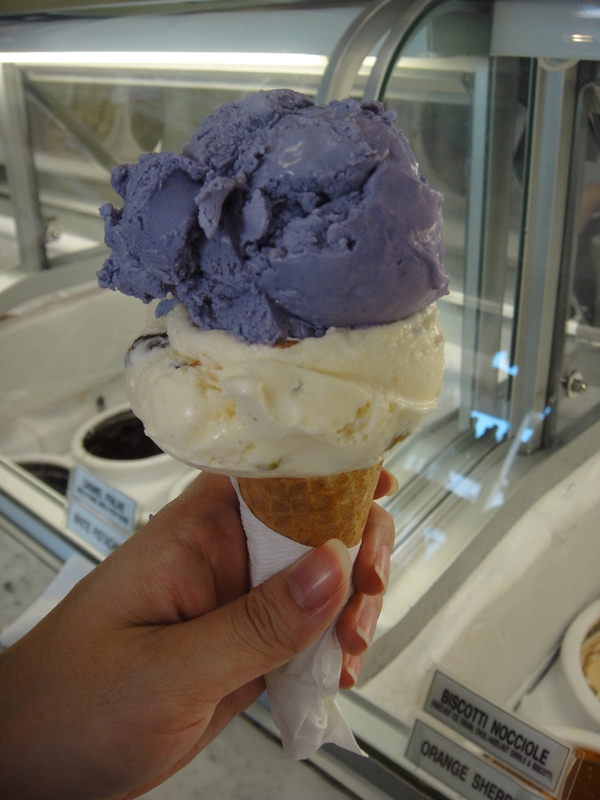 The ube was similar to taro (is it the same?!?) which I love and the white pistachio was so true to the name with huge pistachio chunks everywhere. Boyfriend decided to be square and just got vanilla and chocolate. : P Isn’t that what it looks like he ordered?!? He actually got buko (baby coconut) and Mexican hot chocolate. The buko had some coconut shavings in it which I wasn’t a huge fan of but the ice cream itself was pretty awesome. This is their most popular flavor. The Mexican hot chocolate was the winner on Aaron’s cone with cinnamon flavors swirled into the chocolate ice cream. 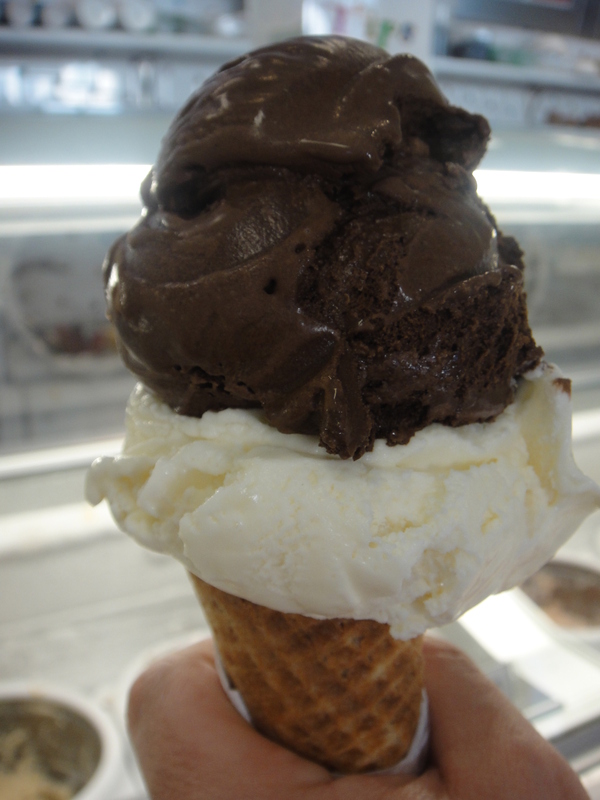 Two scoops on sugar cones will set you back $10! It was NOT cheap by any means but definitely a great treat in this warmer weather. We stood outside and ate and by the time we left, they were on number 74. You are currently browsing the For the Love of Food weblog archives for May 2010.